We sell the following products: Neopost, MBM, Automail Software, Outsourcing and Digital Shipping. From home offices to mail production facilities, Dakota Business Solutions has a full line of mailing solutions to simplify your mail processing needs. All mailing systems include Neopost iMeter Apps expanding their functionality and providing powerful tools to simplify your mailing operation. 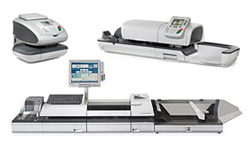 Automate your outgoing document process by implementing a Neopost folding or inserting solution. Fold, insert and seal in one simple step with our full-line of folders and inserters. Regular, tedious jobs such as monthly statements, customer invoices and company payroll become easy tasks. Dakota Business Solutions offers award-winning desktop printer solutions powered by OKI Data technology. With monochrome, color and multi-function features, we can provide solutions to help any desktop printer environment. Address printers offer numerous features that will save you money and time while getting a better response rate when reaching out to your customers or prospects. We offer systems for any mailing volume and any mailing media. Manage your business critical communications with our suite of software solutions. Our software packages can help you design, manage and deliver your customer communication pieces. Our three main categories of software are: Output Management Solutions, Shipping & Logistics Solutions and Data Quality Solutions. When you need to send a mailing that does not require an envelope then tabbing is the solution. A tabbing system is an inexpensive alternative to envelopes, sealed newsletters, brochures or documents with adhesive or wafer tabs. 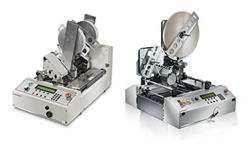 Dakota Business Solutions has a complete range of solutions to help with incoming mail distribution from desktop letter openers to high-speed production models. Process your incoming mail more efficiently with a letter opening solution. 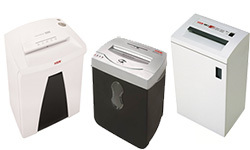 Dakota Business Solutions paper shredder line is provided by HSM, a global leader in document destruction and information security. We will customize a solution to meet your environment and tailor it to your specific security requirements. If you need assurance and proof your important documents have been both delivered and received, without the hassle of preparing the mail pieces and storing the Return Receipt “green cards”, then ConnectSuite e-Certify is for you.